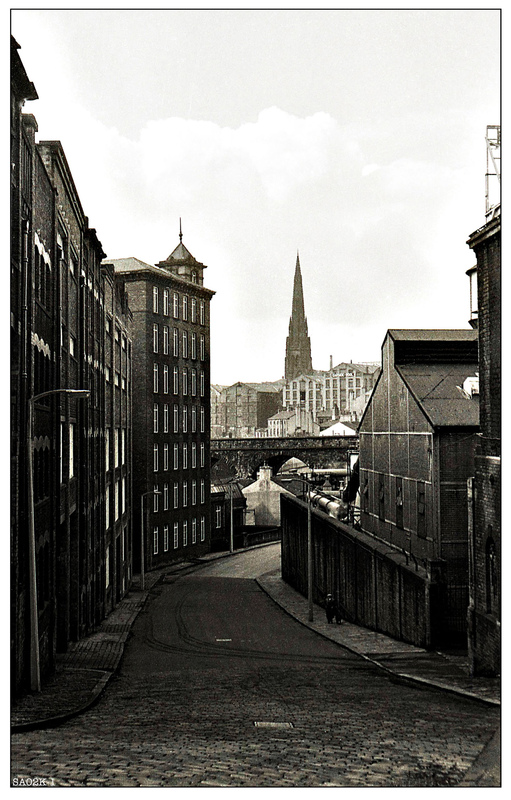 I must have taken this photograph of Bank Bottom, Halifax almost fifty years ago. On the right of the picture is part of the old Halifax Gas Works and on the left is the mill of Riding Hall Carpets. 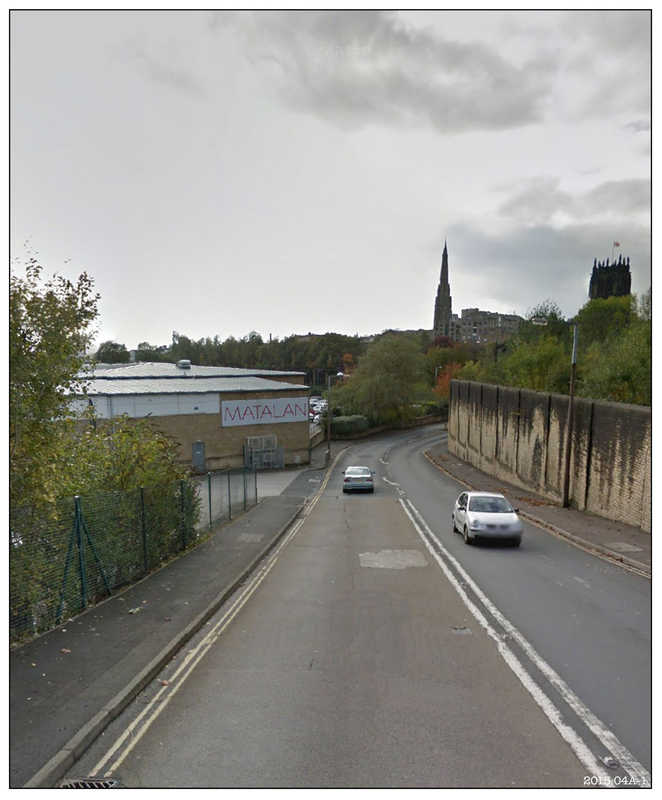 The railway viaduct in the mid-distance carries the line that ran from Halifax via Queensbury to Bradford. The church spire is that of Square Church – the church itself was later destroyed by fire although the spire was saved. Around 1969 I worked for a time at the carpet mill on the left of the photograph as a warehouse labourer. The mill was built up against Beacon Hill and the road climbed around the building like a slide on a shelter-skelter ride. I may have taken this photograph whilst I was working at the mill, but I suspect it is a year or two earlier. Other than the spire of Square Church, most of the buildings that can be seen in my original photograph have now long gone. Trees have recolonised some of the site and a Matalan hypermarket stands where my carpet mill used to be. In addition to the change in the actual buildings themselves, the whole scale of the scene seems to have changed. Then such space at the industrial heart of a busy manufacturing town was precious – space to be used, space to be built upon. Today it is almost an afterthought – too hilly for a car-park, too bleak for a call centre. I must not fall into the trap of blinkered nostalgia: life even fifty years ago was dirty, boring and often short. But the towns looked better, looked more purposeful: there was a sooty pride about them which seemed to say – “here’s where it’s made”.